WWF-Hong Kong has been co-operating with The People’s Government of Changle City in Fujian Province and Fujian Minjiang River Estuary Wetland National Nature Reserve (the Reserve), in a successful 5-year project to develop the management standards in the Reserve. The partnership enhanced protection of rare and highly threatened species and their habitats, and motivated community participation. With the joint efforts of various parties, there are noticeable improvements in management standards, the ecological environment and environmental education at the nature reserve. 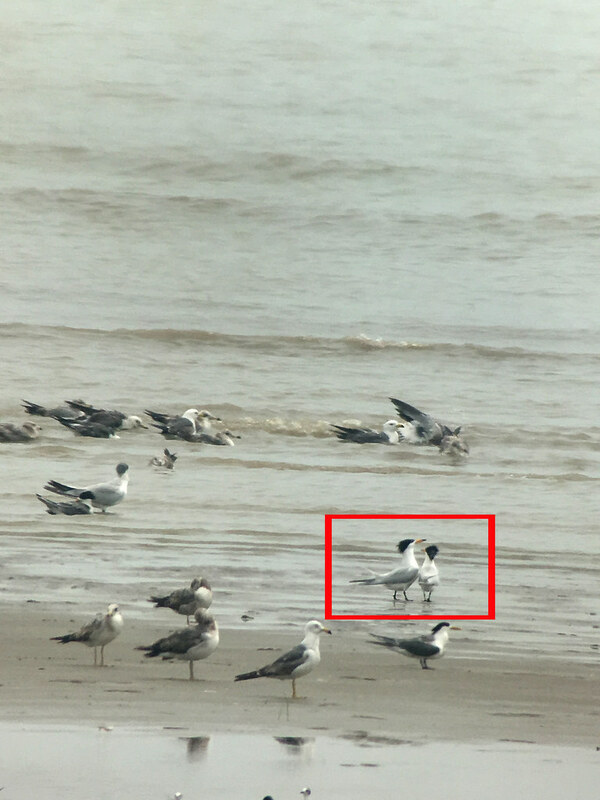 “By sharing knowledge of wetland management, building the capacity of reserve staff in the wise use of wetland resources and through environmental education, we have managed to assure protection of 3 globally threatened species, the Chinese Crested Tern Thalasseus bernsteini, Spoon-billed Sandpiper Eurynorhynchus pygmeus and Black-faced Spoonbill Platalea minor,” he added. 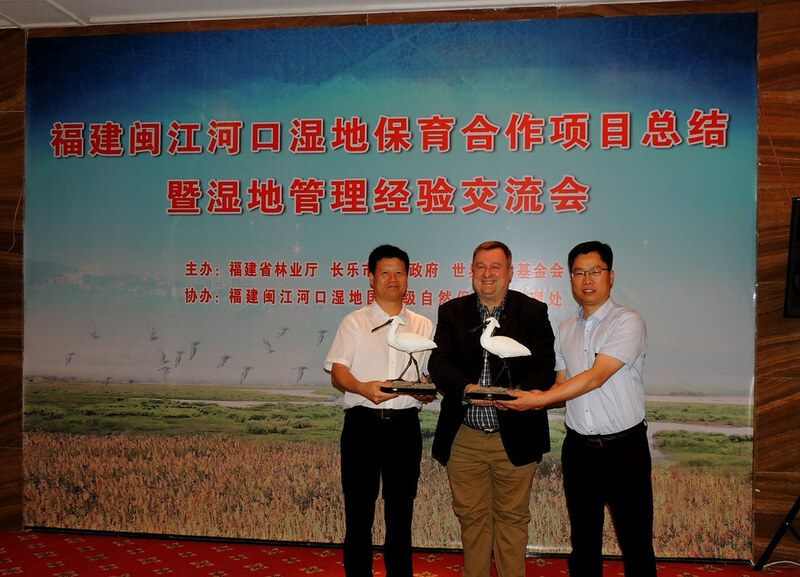 Mr Yutao Huang, Vice-Mayor of The People’s Government of Changle City said the Reserve’s environment and biodiversity fulfilled several major criteria for identifying wetlands of International Importance. “In the past 5 years, the Reserve has been managed in a more comprehensive, scientific, systematic and effective way,” he said. 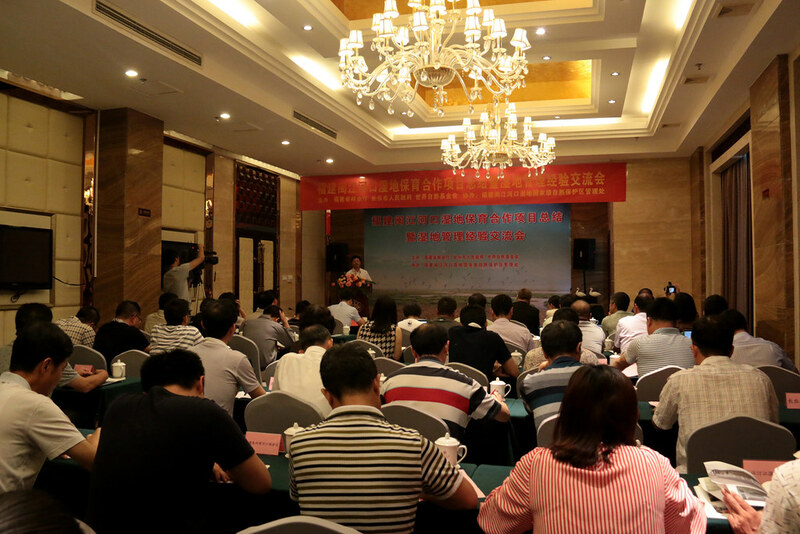 “The project increased the public awareness of the importance of wetlands, and the conservation work in Minjiang River Estuary helps develop Changle City into an ecological city, catalyzes the ecological development in Fujian Province and contributes to the beauty of the whole of China,” he added. In terms of ecological environment, the Reserve staff carried out the monitoring plans on waterbirds, water quality, vegetation distribution and sedimentation rate, as well as taking measures to clear invasive and exotic Smooth Cordgrass Spartina alterniflora. Moreover, the Reserve co-operated with pond operators to provide suitable habitats for waterbirds through maintaining agreed water levels, which helped restore the ecological system in the Reserve. In terms of environmental education, WWF-Hong Kong helped the Reserve construct and improve essential education facilities by providing suggestions and advice on the wetland museum and waterbird monitoring stations. A national wetland park was also constructed at the southern end of the Reserve to create economic benefits to the surrounding local villages. And with the guidance of WWF-Hong Kong and Education Bureau of Changle City and the Reserve partnered with two local primary schools to develop the ESD education pack “Connect with Green Minjiang” to connect young people with nature.